The AT-LP60-BT gives you all the great features of our popular AT-LP60 fully automatic belt-drive stereo turntable but with the added convenience of Bluetooth wireless connectivity. So you can set up your turntable in one room and listen to it in another without having to run a bunch of cables. 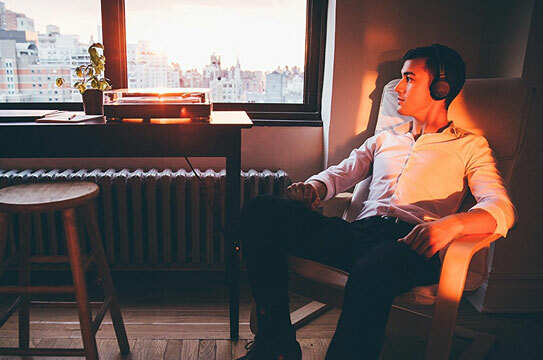 Up to eight different pairs of speakers, headphones or other devices that utilize Bluetooth wireless technology can be stored in the AT-LP60-BT's memory. Once stored, a simple push of the turntable's Function button is all that is required to connect the turntable to your chosen wireless device. 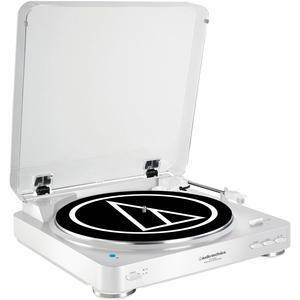 The AT-LP60-BT also gives you the option of operating it just like a regular turntable with a traditional wired connection. Either way -- wired or wireless -- you get outstanding audio with the ease of automatic operation: just push the Start button to begin playing a record, and the Stop button to lift and return the tone arm and shut off the turntable (the stop function occurs automatically when a record has played all the way through). 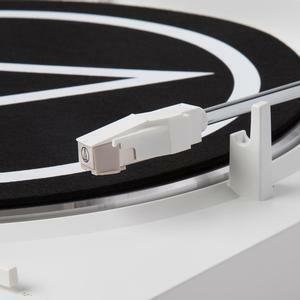 A tone arm Lift button is also included to let you raise and lower the tone arm without stopping the turntable. 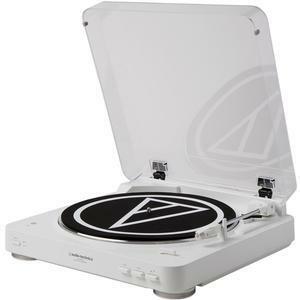 Audio-Technica has been a leader in phono cartridge design for more than 50 years, and that expertise shows in the AT-LP60-BT's Dual Magnet cartridge with replaceable stylus. The cartridge is integrated into the tone arm for assured performance and ease of setup. 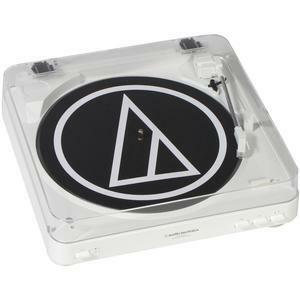 The AT-LP60-BT plays both 33-1/3 and 45 RPM records and comes with a 45 RPM adapter, RCA output cables (for wired connection) and a removable hinged dust cover.